Pls. note: webDAV Not supported anymore. 1. Create a normal folder share in WebsharePro and assign users with upload permissions. 2. After the entry shows up in the shares list, you will see an entry that says "Mount as Local Drive". Windows' WebDAV support is spotty and non-conforming. 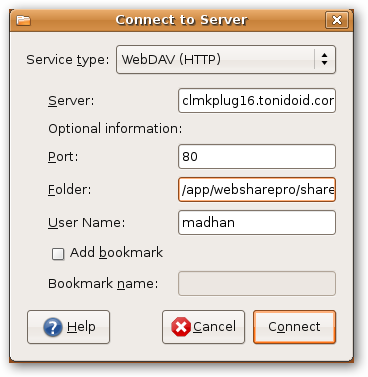 Therefore, we recommend you use one of the free WebDAV clients to mount your Tonido share as a local drive. PLEASE NOTE: Recent versions of NetDrive app appear to have issues with connecting and transferring files properly. We recommend using an older version of NetDrive or using BitKinex. Start NetDrive and in the Window, click on "New Site"
In the account, enter the user name who has access to this drive and the password and hit "Save". The connection is now saved as a new site. 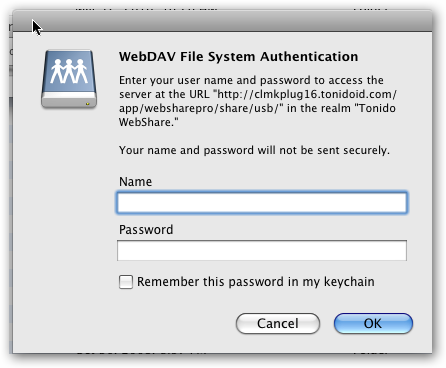 Unlike Windows, MacOSX has great support for WebDAV. 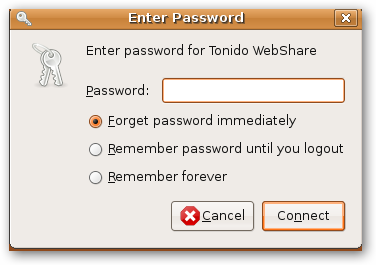 So you can just connect to your Tonido without using any third-party software. � Click Finder on the desktop. From the Finder menu, select Go -> Connect to Server. � This will bring up prompt for your server address. Fill in the URL (add the trailing slash at the end). Press the '+' button to save it as a favorite. Hit connect. � Next fill out the prompt for your username and password. You can choose to remember the password. � That is it. 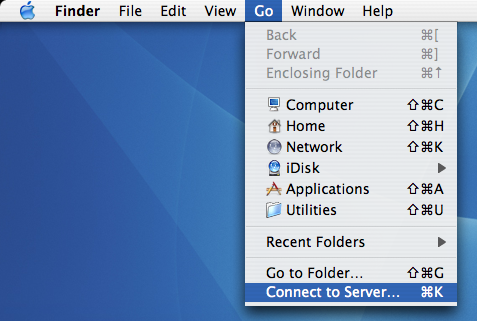 A Finder window will appear with your Tonido Webshare Folder mounted. You can either use Nautilus or DavFS to mount your share as a drive. After clicking ‘OK’, if you refresh the window by clicking on the ‘Reload’ button, you will see that the renaming/creation did actually take place. As annoying as this bug is, it will not actually stop you from using the WebDav share. Just ‘Reload’ after any file or folder activity. If you are using port forwarding instead of using the default relay service you will need to substitute port 80 with the actual port your Tonido server is running on (Default 10001). Note that not all applications work perfectly with drives mounted this way. You might experience slow response times and delays in browsing and doing functions you are normally used to doing with regular local drives. This is a limitation of this technology.